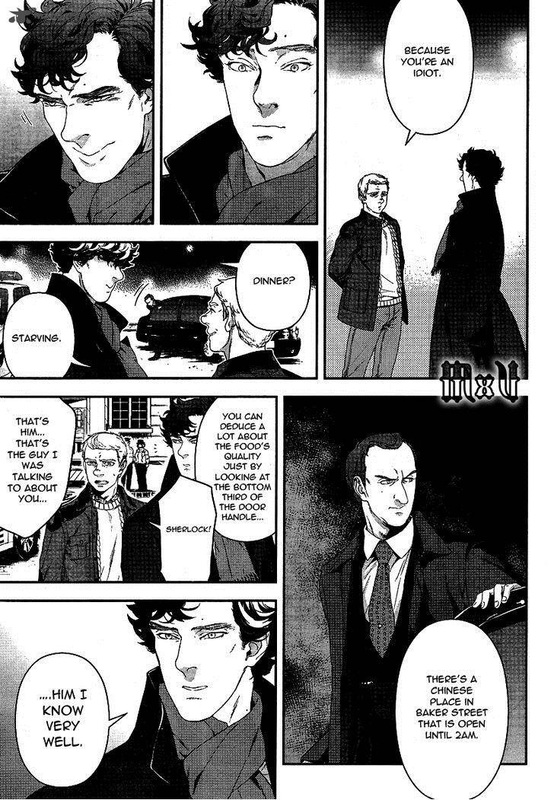 Titan Comics announced at the ComicsPRO retailers summit in Portland, Oregon on Friday that it will publish the Japanese manga adaptation of the BBC series Sherlock episode "A Study in Pink" in the United States and United Kingdom. The company will offer the manga both digitally and in print this June. The book features work by manga artist Jay, and the English-language release also features an extended page count, and covers and art by Alice X. Zhang, who has worked on the comics adaptations of Doctor Who and The Blacklist. Sherlockâ€˜s fourth season doesnâ€™t arrive on the BBC until 2017. For those keeping track, thatâ€™s at least three years after the third season (although admittedly there was an semi-out-of-continuity special inbetween). So if youâ€™re a Sherlock fan looking for a fix, Titan Comicsâ€™ manga is probably your best bet to make it through the year. Im Sang-Soo brings to us a Korean tale of corruption and family, but not necessarily in that order. When it comes to the two in fact, it quickly becomes apparent that directorâ€™s take is that they are not mutually exclusive. Focusing primarily on Yasuhiko, played with doe eyed conviction by Isao Natsuyagi), patriarch of this troubled family, as well as his son, Yoichi Ono and their fracturing relationship. Throw in Chieko, Yashuhikoâ€™s alzheimer inflicted mother, and Yoichiâ€™s responsibility to his wife and her unhealthy burgeoning habit in radiophobia, and youâ€™ve got a melting pot of family dissent and friction. Purported to be the â€œone stop destination for all things Japaneseâ€�, I wandered the walkways, soaking in the atmosphere in order to bring you anime boys and manga girls the details straight from the floor and, importantly, to see whether they truly live up to their words.